Castles, lochs, seascapes. Coastal Scotland is one of the world's most romanticized tourist destinations, yet it is in the midst of severe economic decline. 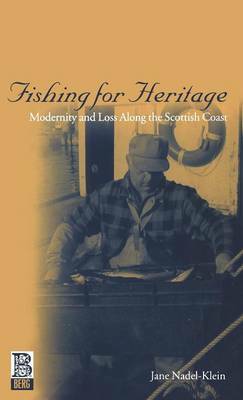 The North Atlantic fisheries crisis has hit Scottish communities hard and local fisherfolk are faced with chronic insecurity, anxiety over the decline of fishing and doubts about their cultural survival. The decline of this traditional industry has been accompanied by growing tourism along Scottish shores. Fishing villages are marketed for tourist consumption and culture has become a commodity. Drawing upon fieldwork, novels, folk music and travel literature, Nadel-Klein explores how these influences have affected locals' sense of identity and presence within a modern European nation. How is identity linked to power? What role do memory and authenticity play in the creation of Scottish heritage? How do locals feel about the onslaught of tourists? The topical nature of these issues and their relevance to other regions facing similar tensions make this book an important contribution to contemporary anthropology.